As I mentioned in a post last month, dozens of comments were filed with the Federal Communications Commission (FCC) as part of the agency’s “Child Safe Viewing Act” Notice of Inquiry. Again, this proceeding was required under the “Child Safe Viewing Act of 2007,” which Congress passed last year and President Bush signed last December. The goal of the bill and the FCC’s proceeding (MB 09-26) is to study “advanced blocking technologies” that “may be appropriate across a wide variety of distribution platforms, including wired, wireless, and Internet platforms.” I filed 150+ pages worth of comments in this matter, and here’s my analysis of why this bill and the FCC’s proceeding are worth monitoring closely. Anyway, this week saw many of the same groups that filed before (and some new ones) file reply comments about those earlier submissions. To make things simple, I have collected most of the notable reply comments down below in case anyone is interested. The Computers Freedom & Privacy conference is consistently one of the most interesting and forward-looking privacy conferences. This year, it’s at George Washington University in Washington, D.C. June 1-4. I helped organize it this time, though by no means does the event skew libertarian. What it does is bring together people of all ideologies to discuss common concerns about the present and future state of privacy. I’ll be speaking on a panel called “The Future of Security vs. Privacy” on Tuesday, June 2nd. Here’s the program page. And here’s the registration page if any of this whets your appetite. Google recently experienced failures of its core services — a phenomenon that quickly spawned the hashtag “googlefail” on the popular social networking platform Twitter. These failures show that a company once thought of as the odds-on favorite for dominating the global market in all things web — the monolith of Mountain View — is looking more and more like a search-only player. Big firms consistently fail to use their “market dominance” to take over adjacent markets, something that should give antitrust warriors in the Obama administration reason for pause. The renewed call for tough antitrust enforcement comes at a time when Google, a poster-child for market dominance, simply can’t leverage its position at all. 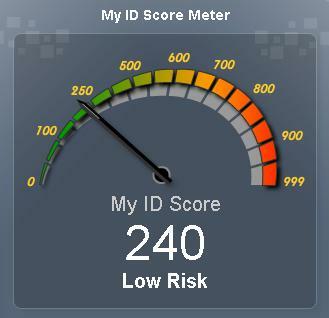 Here’s a very cool little app from Identity Analytics: My ID Score. You enter a bit of identifying information. It checks to see if you know stuff that only you are likely to know. (This is what I called “epistemetric” identification in my book.) And then it spits out an estimate of your risk of being a victim of identity fraud. I got a 240 when I didn’t give them my SSN, and my score dropped to 40 when I submitted my SSN. According to respected Guatemalan lawyer Rodrigo Rosenberg, Guatemala’s government is infested with corruption. His message is carried very powerfully to fellow Guatemalans and the world in a video he taped before his murder last week. YouTube has a role as a powerful engine of dissent and government transparency. It’s a commercial, profit-making business, and it is laying bricks on the path to human rights and the rule of law worldwide. The Cato Institute’s Juan Carlos Hidalgo writes briefly about developments since then on the Cato@Liberty blog. Google has announced that it will soon begin allowing U.S. advertisers to use trademarked keywords in limited circumstances in text ads, much as Yahoo! already does. Google currently allow advertisers to bid on trademarked terms as keywords that could cause an ad to appear, either next to Google search results or on a third-party publisher’s website. That policy will not change, and is discussed here by my PFF colleague Sid Rosenzweig. The new policy is focused on the text seen by users in ads themselves and applies only if the “landing page” (to which the ad links) is used by a reseller, aggregator or parts supplier to sell only products that are relevant to the mark in question, or if the page is used to provide impartial reviews or other information about the trademarked product. The new policy does not apply to sites/pages that (a) facilitate the sale of counterfeit goods, (b) allow the sale of a competitor’s goods, (c) criticize the trademarked good, or (d) do not provide substantial information or a purchase option. Despite these limitations and other safeguards, Google has been sharply criticized by some trademark holders and might even be sued (e.g., for contributory infringement). I’ll defer to the real trademark lawyers to figure out whether Google is correct that its new policy falls within the bounds of trademark law (particularly the “nominative fair use” doctrine). But since Adam Thierer and I have been involved in an ongoing defense of online advertising against those who would squelch it through regulation in the name of privacy concerns (not at play here), I think it’s important to highlight the potential benefits to users from this seemingly arcane policy change-and to consider what this episode says about online advertising generally. I see three main benefits to consumers from the policy change that should be considered alongside the vitally important role that trademarks play in our economy in communicating reputational information. Will the Government Be the New King of All Media? Howard Stern swore off free broadcast radio in 2004 in part because of federally mandated decency rules. The self-annointed “king of all media” may have stepped off the throne in doing so. Them’s the breaks in the competitive media marketplace, contorted as it is by government speech controls. Some would argue that a new king of all media is seeking the mantle of power now that the Obama administration is ensconced and friendly majorities hold the House and Senate. The new pretender is the federal government. And some would argue that the Free Press “Changing Media Summit” held yesterday here in Washington laid the groundwork for a new federal takeover of media and communications. That person is not me. But I am concerned by the enthusiasm of many groups in Washington to “improve” media (by their reckoning) with government intervention. Opening the conference, Josh Silver, executive director of Free Press harkened to Thomas Jefferson – well and good – but public subsidies for printers and a government-run postal system model his hopes for U.S. government policies to come. Among the permissive is the Article I power “to establish Post Offices and post Roads.” There’s no mandate to do it and the scope and extent of any law is subject to Congress’ discretion, just like the power to create patents and copyrights which immediately follows. It’s a very friendly environment for a government takeover of modern-day printing presses: Internet service providers, cable companies, phone companies, broadcasters, and so on. 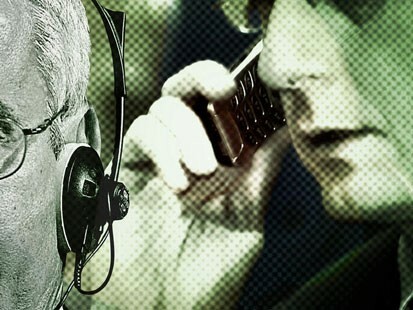 Is Facebook Violating Federal Wiretapping Laws? Facebook has been at the center of a controversy involving its moderation policies and The Pirate Bay, a popular Bittorrent tracker that was found guilty of copyright infringement by a Swedish court last month. Since early April, Facebook has enforced a “site-wide” ban on links to The Pirate Bay – including those in private messages. It’s important to draw a distinction between the traditional notion of “wiretapping” and Facebook’s “interception” of user messages, which doesn’t involve any human intervention. Regardless of how the courts may interpret ancient laws like the 1986 Electronic Communications Privacy Act, an automated computer system flagging and deleting certain strings from user messages simply isn’t comparable to a third party secretly listening in on a private phone conversation. Besides, Facebook makes clear to its users from the get-go that their messages and postings are subject to a set of rules (which Facebook lays out in plain English). If Facebook believes a message or posting is against the rules, it can block or remove it. This is not an unreasonable rule; many online discussion forums have enforced similar policies since the Web’s early days. Such filtering is possible only if sites can “examine” messages to identify misconduct.